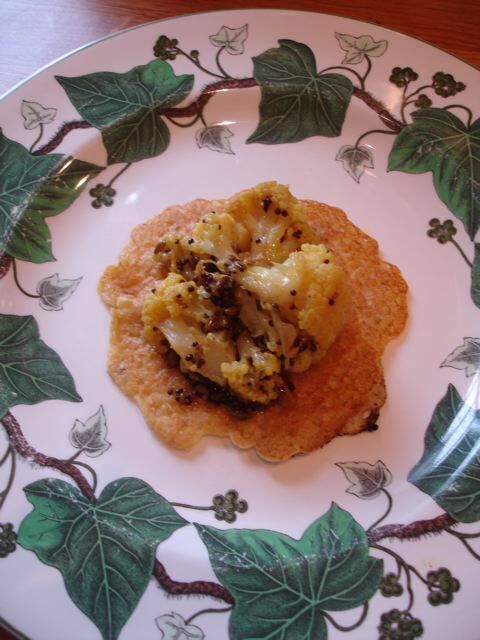 Chickpea flour is also known as Besan and gram. A good substitute for wheat flour for those with gluten intolerance, it has other nutritional virtues and it tastes delicious. This is street food and is still sold on the streets of Nice and Marseille in southern France. 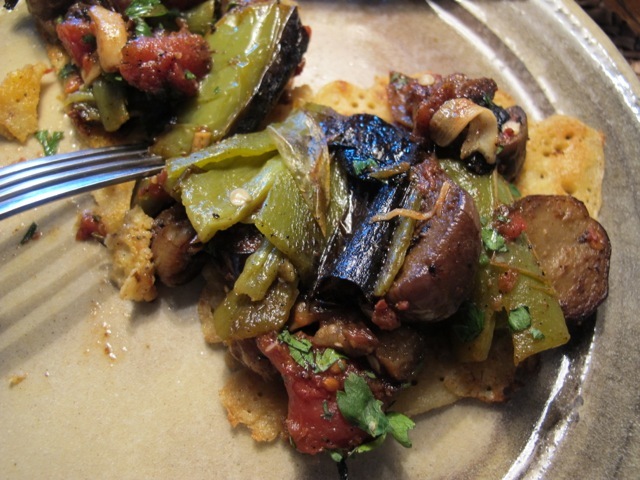 The pancakes are about 20 cm/8 inches wide and are good for parking things on – a fried egg or some bacon bits or as I did recently a spoonful of leftover green pepper and aubergine ratatouille. 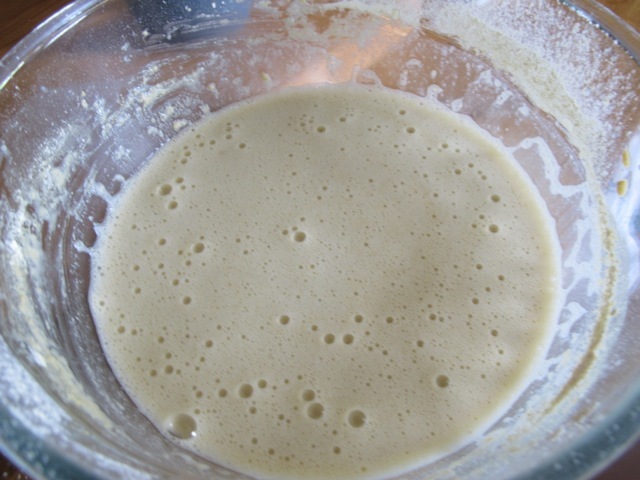 Shake the flour gently through a sieve into a mixing bowl. Add the water and whisk it in until you have a smooth runny paste. Add the oil and whisk in. 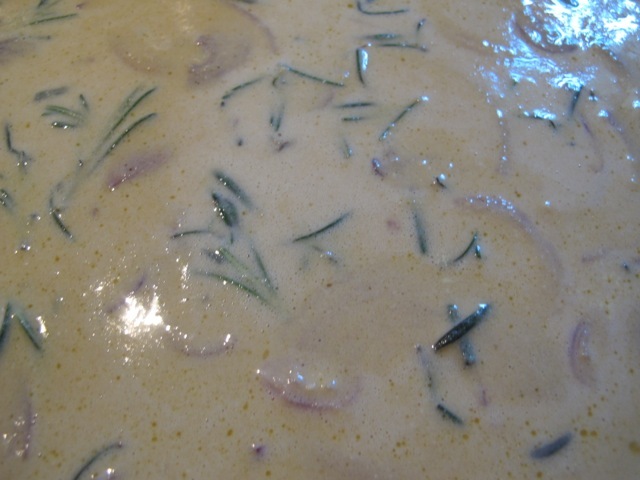 Add pinches of salt and pepper plus the rosemary. 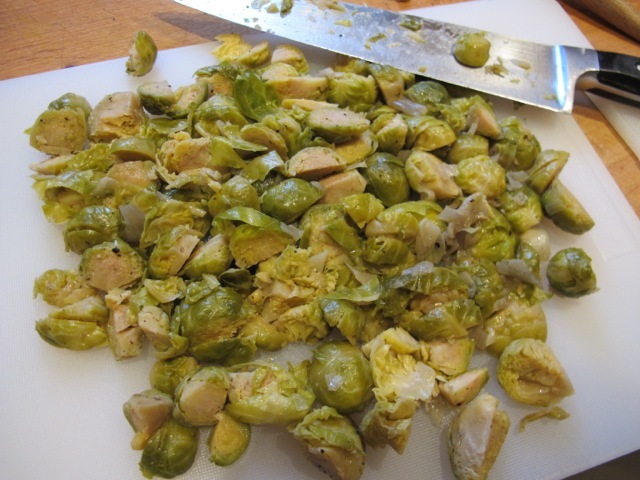 Leave to soak for 20–30 minutes. 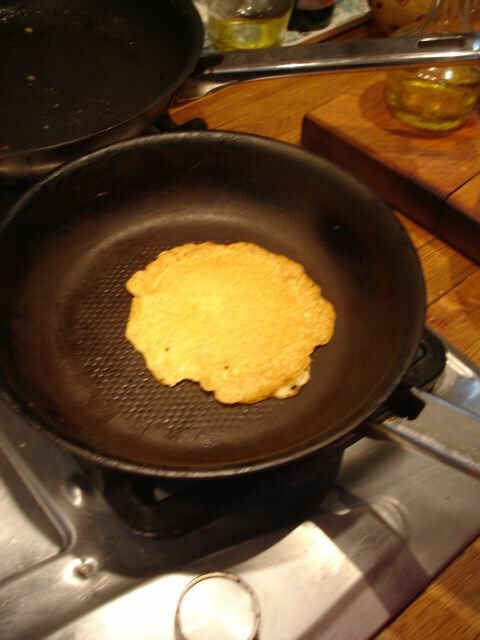 When you are ready to make the pancake, heat a swirl of olive oil in a 25 cm/10 inch frying pan. 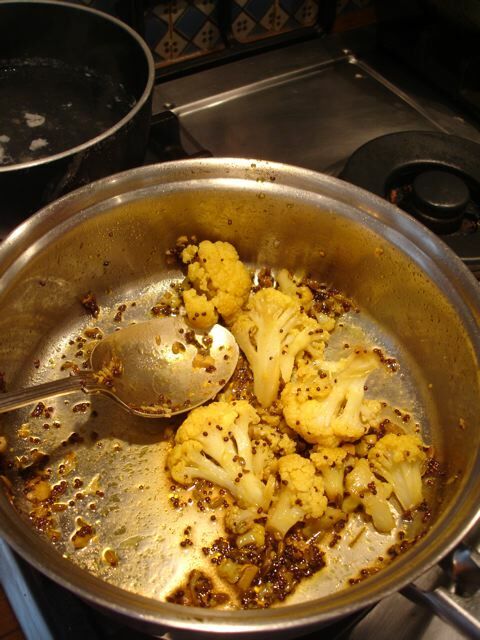 When the oil is hot, put a tablespoonful of the stirred mixture in the pan and let it spread. Cook for a few seconds until you can ease the pancake loose with a spatula. Now you have to turn it over–be bold! 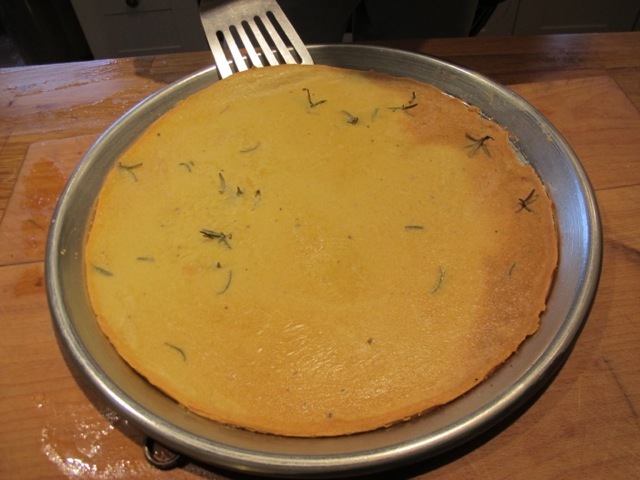 Practice makes perfect and anyway the first attempt, if not completely successful, will be edible. Both sides should be a golden brown. 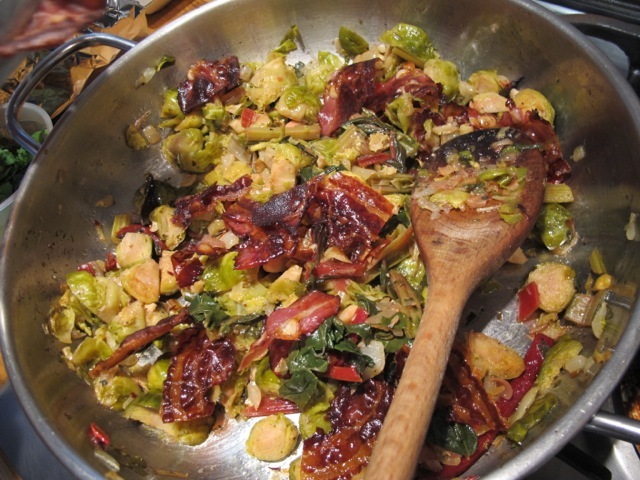 Add a few twists of the pepper mill on each. 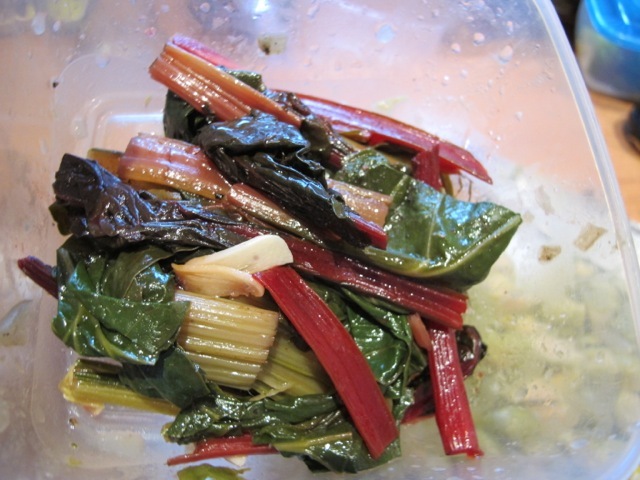 Add what you will and serve with a green salad. 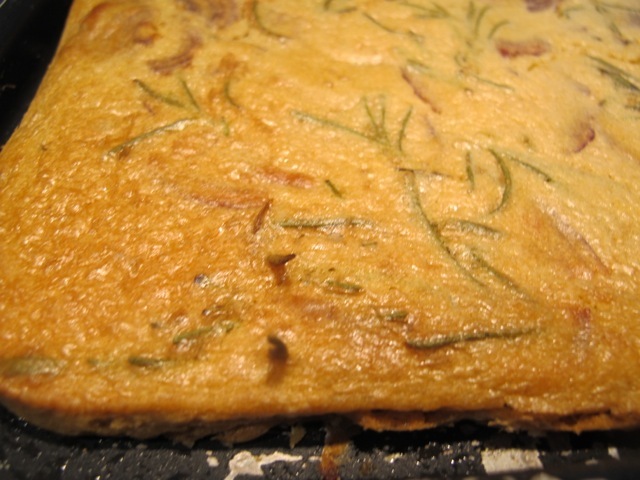 This goes by a number of names and several shapes–socca, farinata di ceci, foccacia di ceci–depending where you eat it. It’s street food eaten on the move. 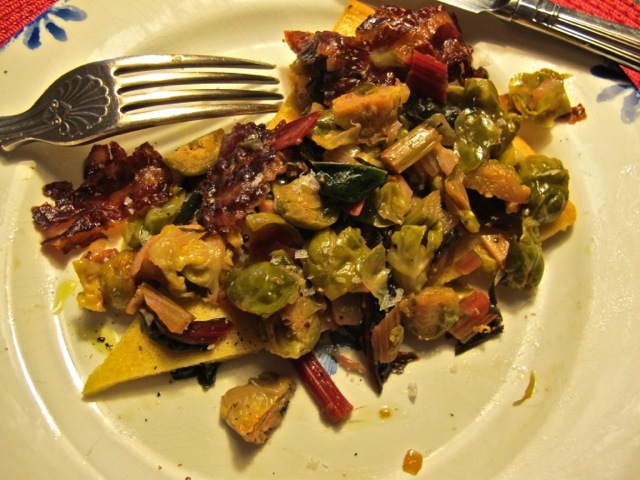 There’s a recipe for it in my book, Delicious Dishes for Diabetics. 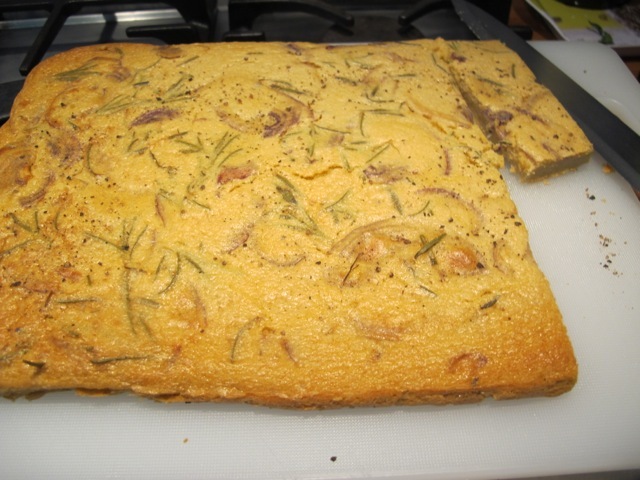 But here is a slightly different version–I’ll call it chickpea bread. 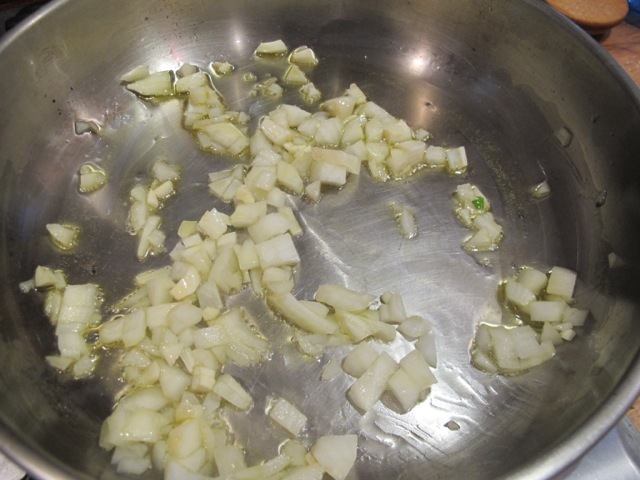 I’m going to buy some spring onions in the market tomorrow–well it is Spring though it’s difficult to credit–grill them as in A lovely mess of spring onions and spread them over the bread. The sun is forecast tomorrow and we’ll eat it sitting down! Pour the water into a large glass bowl. Shake the flour and baking powder into the bowl through a sieve and stir it in. Add the olive oil and stir thoroughly. Cover the bowl and leave it to settle for a couple of hours. 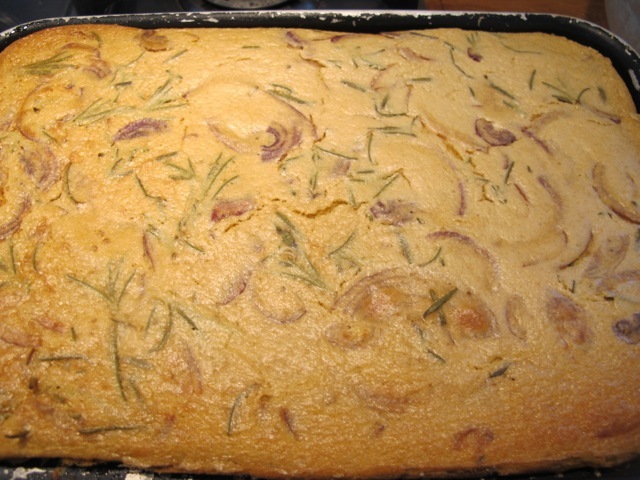 When you are ready to bake the “bread”, stir in the onion and the rosemary. Oil an oven tray and pour in the contents of the bowl, taking care it doesn’t slop over the sides. 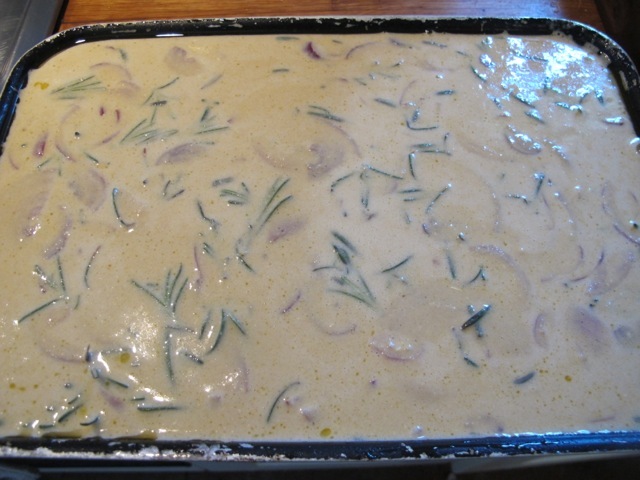 Gingerly lift it onto the top shelf of the oven and let it cook for 35 to 40 minutes. It should have browned some. and grind some pepper over it.